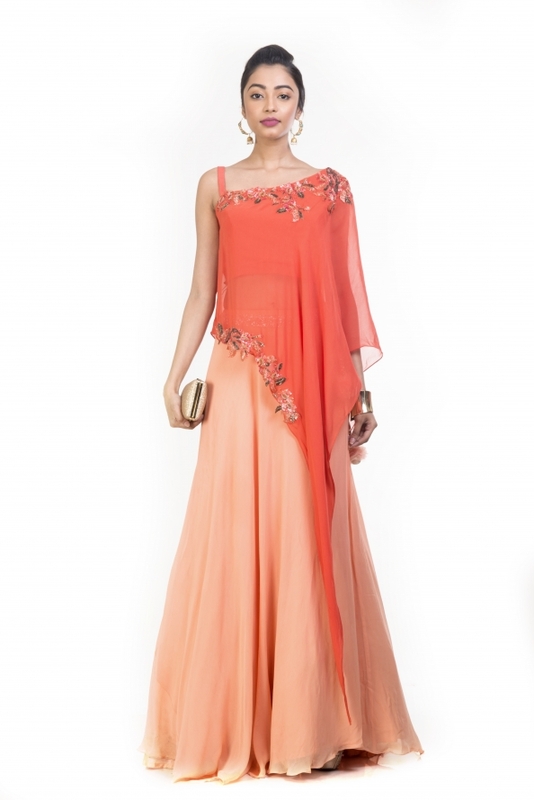 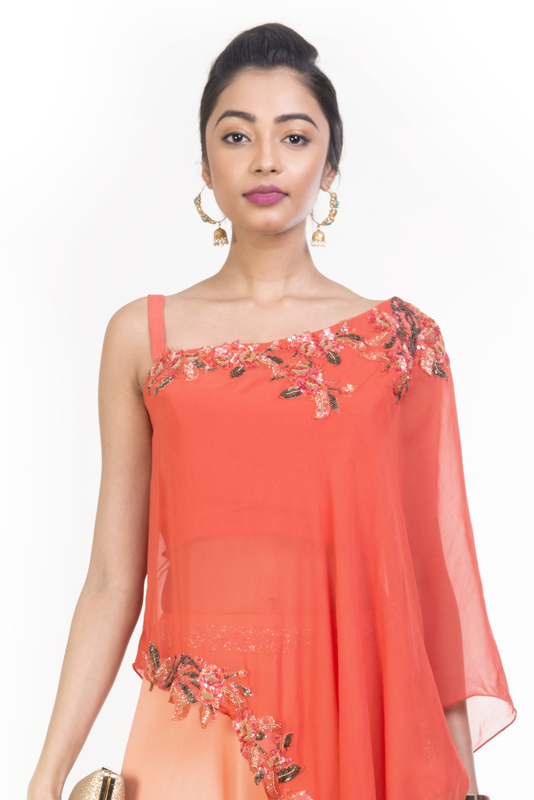 Featuring a tangerine one shoulder crop top with asymmetrical georgette draped on it in a cape style. 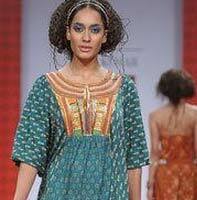 Golden and blue hand embroidery stylishly place on the neck line and part of the hemline of the cape. 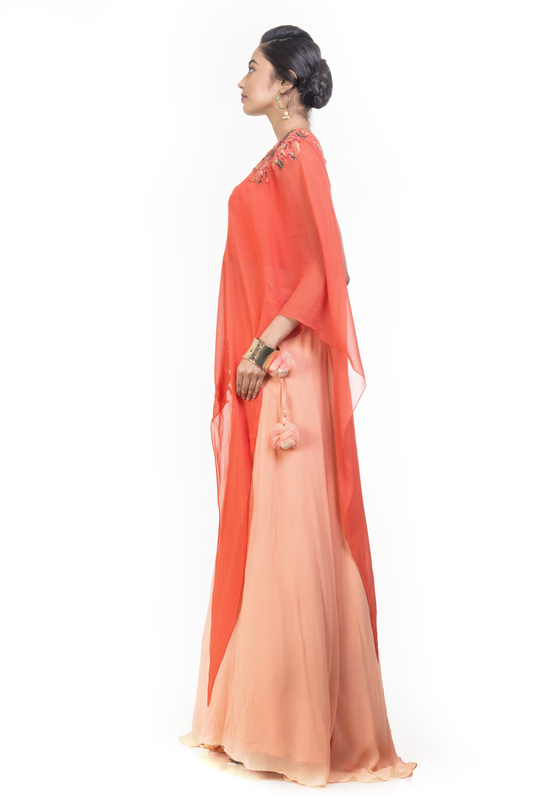 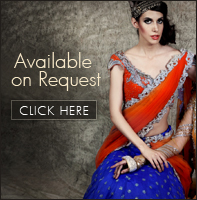 The cape blouse is paired with a light peach cancan lehenga skirt with an embellished tonal belt.